First, let’s view it from an inner awareness angle. 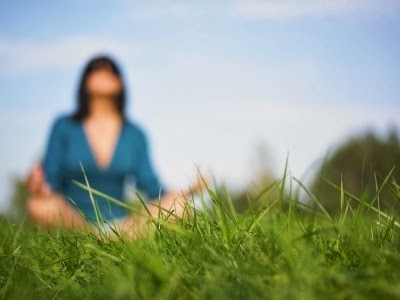 Rinzai, the famous Chinese mystic, considered a Master in Zen Buddhism, has said famously: “Sit silently, doing nothing, and the grass grows by itself.” By this Rinzai does not mean you should do nothing forever. He calls for a deeper level of observation – every day. Everyone’s in a tearing hurry to get things done. There are the dishes to be done, groceries to be fetched, the kids to be dropped and picked up, meetings to go to, deadlines to be met, targets to be achieved, bills to be paid, mortgage dues to be settled….and on and on…you go. From one commitment to another. From one small crisis to another. Hours, days, weeks and often months have gone by rushing until you realize that you need a break. Phew! But a break has come to signify again accomplishing a set of things you always wanted done. Go to the spa, change the upholstery, get the air-conditioners serviced or have the whole house re-painted! And just in case you managed a vacation, it is always about “seeing” whatever you can in the “limited” time that you have. Again it’s a rushing of a different kind. Rinzai says, drop everything, and sit silently. Just observe. See how Life goes on. Be silent. Thoughts will come and go. Let them. Bring your attention back to your present – to the now. You can sit in your balcony and see the crowded street below or the clear blue sky above or you can go to the park or you can go to the beach or even to mall. Go somewhere. But you be silent. You be a witness. Then, says Rinzai, you will see the beauty of how nature works on its own. A friend had posted this status message last evening on his facebook wall: “The pigeons who made a home of my sit out have flown away with their babies. It was interesting to watch how the momma pigeon and her boyfriend cajoled the younger ones to fly as they started growing. In the last four days they got the first of the baby pigeons flying while the second one preferred the comfort of the nest behind my flower pot. Today the mom-pop combo persuaded the other one to fly too. It was a heart-warming experience to see those babies born in my backyard flying”. This is what sitting silently and doing nothing can help you with. It will help you experience the magic and beauty of Life. It is through being silent that you realize what inner peace is. It is through inner peace that you become aware of the true nature of Life. That Life goes on not because of you, but in spite of you. When you have realized this, then everyday living becomes stress-free and, in fact, meaningful! Next, at a practical level, you must never abdicate your responsibilities. You have to continue doing what you are doing. You may have a job, you may have a business, you may just be a home maker, you may be a student – whoever you are and whatever you have to do, keep doing it. If you don’t like what you are doing, change it. Do something else. Philosophy and spirituality cannot pay your bills. You have to earn an income. But don’t earn to pay your bills. Earn from what gives you joy. Then you won’t think of your Life as a drudgery. And if someone’s earning for you, do something with your time that makes you joyful. Don’t sit and complain about Life and say you are bored. So, from an everyday action point of view, keep doing whatever you must do. Just don’t complain. Don’t hanker for results. This is what sitting silently for a while each day can help you understand. When you combine spiritual practice and everyday living, then you learn to live intelligently. Completely at peace with yourself and your immediate world. In this zone, you become the most productive and whatever you do works out just great. And whatever you need, the Universe always provides you with. Because your rhythm’s in harmony with the Universe’s. This is the state that the Buddha called ‘nirvana’. ‘nirvana’ is often misunderstood as enlightenment, and worse, as enlightenment that’s got under a tree. ‘nirvana’ is downright simple, easy to attain, anywhere, anytime, provided you are ready, you are tuned in! In Sanskrit, ‘nirvana’ literally means ‘blown out’ as in a candle. “Just as the candle ceases,” the Buddha says, “I will cease.” So, ‘nirvana’ does not really mean ‘moksha’or liberation, it means a cessation. When a candle ceases to burn, the flame disappears, but it is still there in the cosmos. Because nothing can disappear from the cosmos. Similarly, the metaphor of the extinguished flame means that your desires have ceased to be. 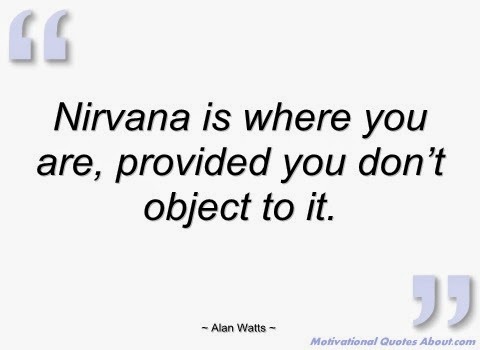 So ‘nirvana’ is the state where all desires cede. When all desires are extinguished or expunged, there can be no agony, nothing to worry about, nothing to grieve over. In such a state, what remains is just you, doing your daily bit diligently, often sitting silently, and watching the grass growing!